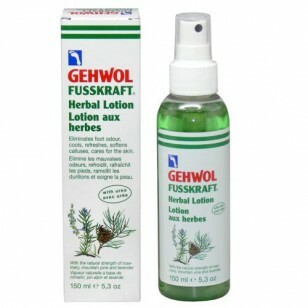 GEHWOL FUSSKRAFT Herbal Lotion cools and refreshes tired feet, softens calluses and soothes skin. Feet enjoy long-lasting deodorisation while skin remains smooth and beautiful. 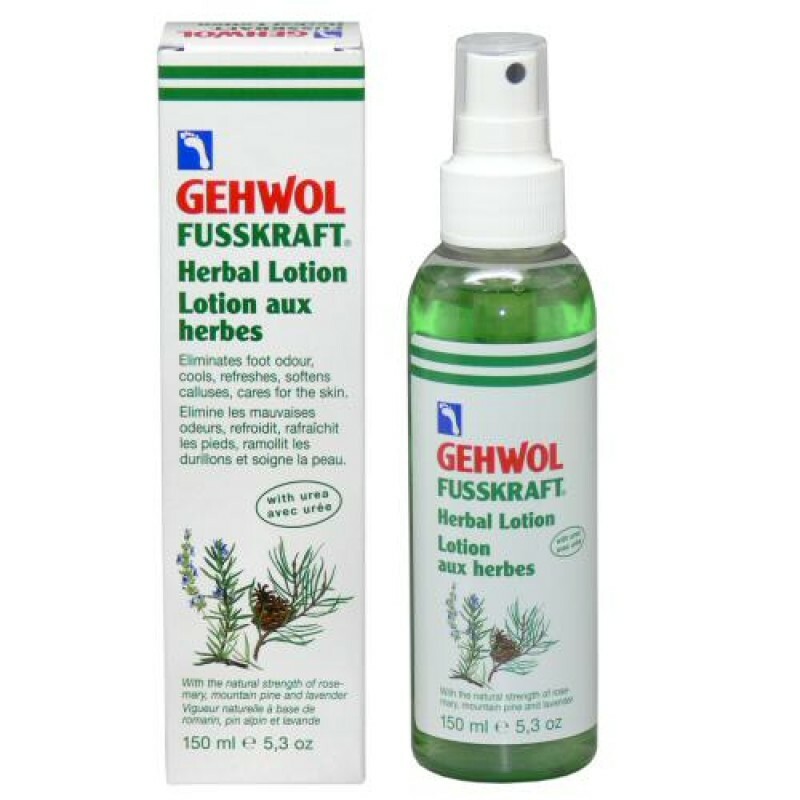 The formulation contains a high concentration of natural essential oils from rosemary, mountain pine, lavender as well as cooling menthol. The environmentally friendly pump spray bottle does not contain propellant and can be used upside down as well.